With the Easter season being one of my favourite times of the year I have already started planning the dessert menu and outfit planning. Sweet, sweet pastel times are ahead, my friends!! If you're wondering what to bring to an Easter gathering, I have rallied some of my favourite treats to make for Spring. This bunny bark will always be one of my go-to's. It's seriously delicious -think golden oreos, mini eggs, marshmallows- and so easy since it requires no bake time. I've been making it for years and this year will be no exception! 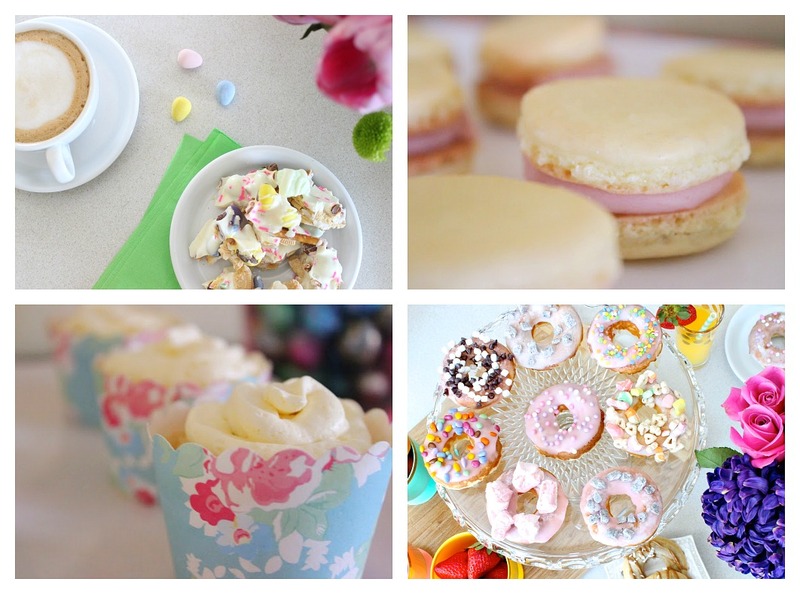 You could always try macarons in pretty spring colours, lemon cupcakes with Cool Whip icing, or sprinkle donuts! Be on the look-out for some more Spring themed desserts coming soon!